We will do our part to make sure that you get the best legal representation possible. When you have debts that are beyond your ability to pay it may be time to consider filing a personal bankruptcy. In Connecticut you have the option to file a Chapter 7 or Chapter 13 bankruptcy to either liquidate assets or create a plan to repay creditors. While it is possible to do a personal bankruptcy filing on your own it is recommended that you hire an attorney who has experience in bankruptcy cases since the intricacies of a bankruptcy can be confusing and if you are not careful you can end up making costly mistakes. 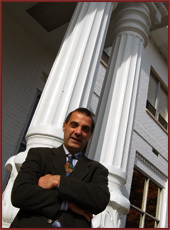 Bankruptcy lawyer Chris Carrozzella has years of experience helping Connecticut residents get the legal advice they need to successfully file a personal bankruptcy and get their finances back in order. The two options for filing a personal bankruptcy are Ch. 7 and Ch. 13. In the case of a Chapter 7 bankruptcy filing a trustee collects the assets of the debtor's estate, transfers the assets into cash, and distributes the money to the creditors. Chapter 7 bankruptcies are used to eliminate unsecured debts which can include credit cards, medical bills, payday loans and some personal loans. Since 2005 the courts now require people seeking to file a Chapter 7 bankruptcy to pass an eligibility requirement test known as the Chapter 7 means test. In addition to passing the test a person wishing to file for bankruptcy will also need to complete a credit counseling course. The other option for filing a personal bankruptcy in Connecticut is Chapter 13. Under this filing a person agrees to pay back all or a portion of debts over a three to five-year period. Unlike a Chapter 7 bankruptcy that can include the loss of your property to pay off debts, most Chapter 13 filings allow the debtor to keep their property since their debts aren't be cancelled, simply reorganized in a way the person filing can make agreed upon payments. Since you will be paying off your debt through your income a court will decide if you are eligible to file for a Chapter 13 bankruptcy since some people do not make enough to keep up with scheduled payments. Also, if your debt burden is too high you may be denied the ability to file a Ch. 13 bankruptcy. Secured debts cannot exceed $1,010,650 and unsecured debts cannot exceed $336,900. Ch. 13 also requires completion of a credit counseling course. Filing for bankruptcy can be a complicated process and even though there are resources to guide people through a filing it is best to consult with an experienced bankruptcy attorney who will see to it that your rights are protected and banks and other creditors don't take advantage of your lack of knowledge. 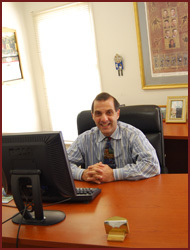 For a free initial consultation about your options for filing a personal bankruptcy in Connecticut contact attorney Chris Carrozzella today.